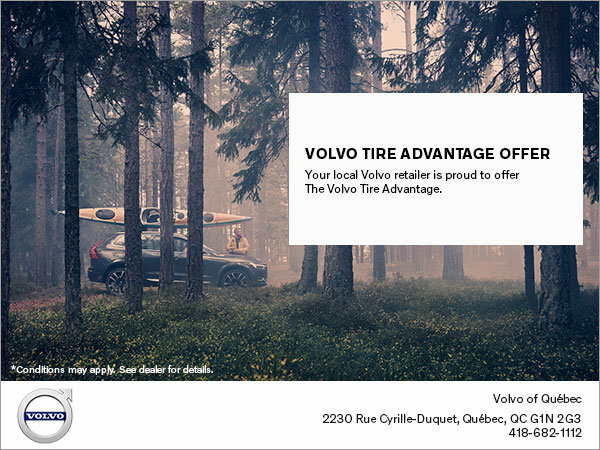 That’s why your local Volvo retailer is proud to offer The Volvo Tire Advantage. Factory-trained technicians will make sure you get the right tires for your Volvo at competitive prices, complimentary 24-month Road Hazard Tire Protection* (when you purchase any Volvo-recommended tires), and proper tire disposal and recycling. *Some exclusions may apply, please contact your Volvo retailer for details.